And you wonder why oil prices are high? 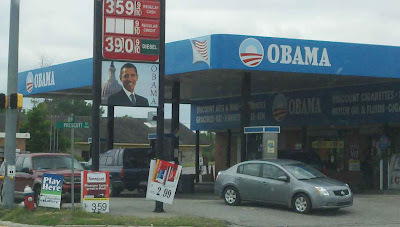 Check out Obama Gas! In Columbia, Wisconsin on North Main Street! Dude spent $4,000 to change the name.